Be among breakthrough leaders who change the World! In conjunction with the Malaysia Rural Entrepreneur Carnival held at PWTC KL dated on the 19th – 20th Oct 2017. 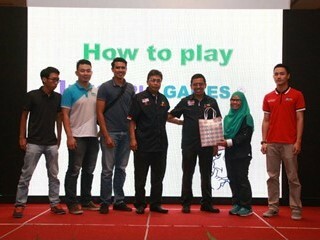 UNIKL, the 2nd IG host, conducted the 1st Innompic Games introduction workshop in Kuala Lumpur Malaysia. About 300 students & officers from various UNIKL disciplines attended the half day program. 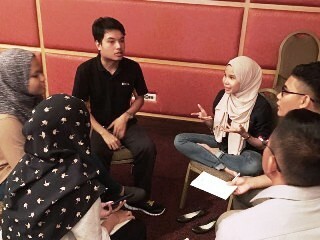 is a sharing session by the award winners and mini Innompic Games organized by the IG1 ambassadors. According to Mr. Othman, Innompic Games were first mentioned by Vadim Kotelnikov, Founder at the international conference on "Creation of Global Virtual Venture Value" held in 2010 in Ulyanovsk, Russia. 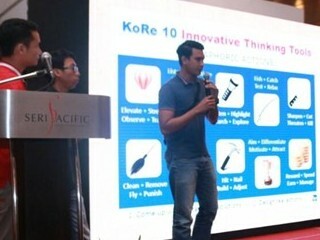 During 2010-2017, Innoball trainings, both open and corporate, have been conducted in various countries (see training in Malaysia). Innompic Games are the 360 of Innovation methodology, and resemble the cradle to grave concept. The current traditional entrepreneurial education needs some revamping. New Entrepreneurial education is now moving towards a gaming methodology. The Innompic Games are not only for new product creations, but also for transforming fading or tail end products. Also, it not only teaches entrepreneurial skills, but also invaluable managerial skills. The Innompic games cover from inventiveness, to direction setting, product guidelines, commercialization strategy and sustainment, all through its 10 core tools. Besides learning the flow of the Innompic games, the 300 students / actors were also exposed to the judging method and Q & A engagement between judges and the audiences. Prizes were given by the organizers of UNKL – Teknoputra Division, to the team winners as well as to Mr. Innovation & Mrs. Innovation of UNIKL. Quoting the Prime Minister of Malaysia’s speeches during the opening of the KUD Carnival day, “We need to be more creative & innovative, technology based, and digitalized and global players”. “Within 2 – 3 years’ time, it’s going to be another 4.0 industry” said D.G of Malaysian Productivity Corporation. 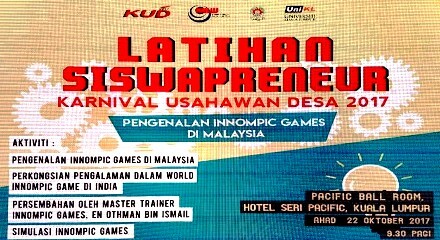 The innompic games mission & vision is to unlock creativity and innovation on a national scale and what the Prime Minister of Malaysia is saying is all included in the Innompic games. Last but not least, before going through the “INNOVATION TRANSFORMATION”, involve us as part of your strategic partner to achieve your journey.